The Strategic Banking Corporation of Ireland (SBCI) today published its midyear 2017 update, showing that the total value of loans supported stood at €855m at end-June 2017.  This is an increase of 57% on the €544m in SBCI-supported lending at the end of December 2016. SBCI loans have now supported 21,132 SMEs employing 106,728 people (up from 12,593 SMEs employing 67,150 people at end December). The launch of the SBCI Agriculture Cashflow Support Loan Scheme in January 2017 represents a significant milestone for the SBCI in its efforts to introduce Risk-Sharing products into the SME Finance market. This scheme accounted for €118m by end June 2017 and supported over 3,500 agri-business SMEs employing over 5,000 people. SBCI Chief Executive Nick Ashmore said: “These figures demonstrate the SBCI’s strong impact and the significant appetite among Irish SMEs including farmers for lower-cost funding that is more flexible and designed to suit their specific needs. In just over two years since it started lending, the SBCI has achieved a lot. The pace of SBCI loan drawdowns has grown steadily and SMEs are benefiting from a bigger range of loans and a bigger range of on-lending partners. (23%). The South West of Ireland showed the most SMEs using SBCI loans with over 18% of loan numbers by region, while Dublin accounted for 14.8%.